Kansas guard Lagerald Vick (2) lines up a shot during practice on Thursday, March 22, 2018 at CenturyLink Center in Omaha, Neb. Omaha, Neb. 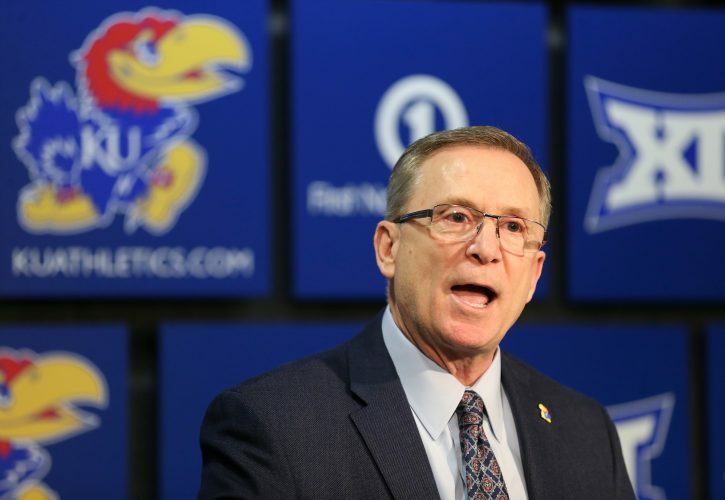 — When it comes to assessing the reason why the top-seeded Kansas basketball team is still alive this postseason and set to take on Clemson on Friday night at CenturyLink Center, plenty of things come to mind. 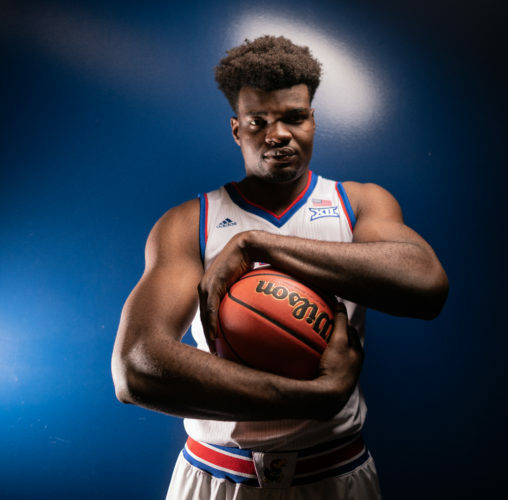 The emergence of Malik Newman and quick recovery of Udoka Azubuike’s injured left knee sit at the top of the list. The veteran play and presence provided by point guard Devonte’ Graham and sharp-shooter Svi Mykhailiuk also has received some attention. And, of course, there’s the old standard of Bill Self and his coaching staff putting their stamp on things to help the Jayhawks advance. 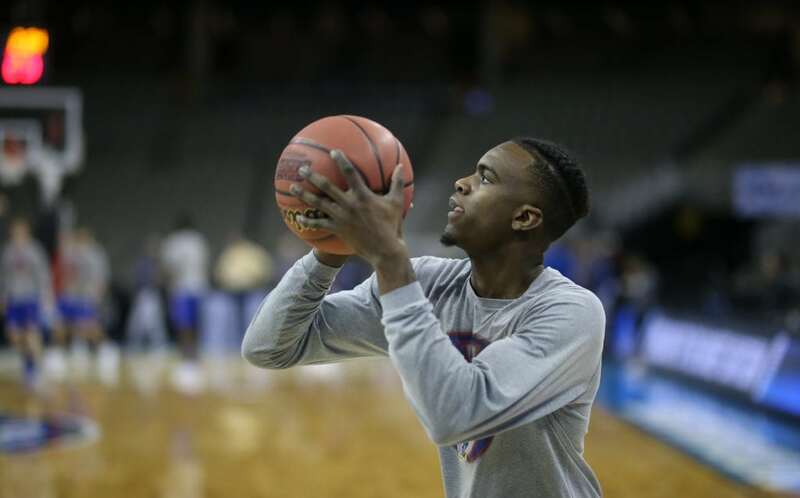 Overlooked in all of those automatic responses is the play of junior guard Lagerald Vick. And, truth be told, Vick’s resurgence might actually be as important as any of it. Throughout his time as a Jayhawk, Vick has made a career out of playing, and talking, with little or no reaction on his face. Win or lose, in good moments or bad, Vick’s expressions generally have been the same throughout the years. That has made the introspective guard from Memphis tough to read for both teammates and opponents alike. However, in the past couple of weeks, Vick’s entire approach has changed dramatically and the 6-foot-5, 175-pound versatile guard has begun to let his emotions carry him. Flashback to a couple of plays in last week’s Seton Hall victory, neither of which worked out in Vick’s favor, for proof. The first came on a foul called against him that later, on replay, proved to be a clean and clear block. Instead of getting down on himself or reacting negatively to the call, Vick simply grabbed the ball off the floor, bounced in place and smiled in the direction of the official. Later, after one of his teammates misfired on a driving layup, Vick flew high above the rim and nearly stuck the put-back, just missing and watching the near-miss with big eyes and an energetic reaction before landing and sprinting back on defense. Vick has known this for quite some time, of course. But that knowledge, which he occasionally found tough to grasp, did not insulate him from a mid-season slump that produced the polar opposite of the production he enjoyed to begin the season. After averaging more than 17 points a game during non-conference play, Vick struggled mightily throughout most of the Big 12 season. Not only did his scoring average dip significantly, but so did his confidence, with one having a major impact on the other. Vick failed to score more than five points six times during conference play and often merely floated around the floor instead of inserting himself into games. His teammates have noticed this and also have taken a decent dose of confidence from it. Graham was glad to share his perspective on why a happy Vick creates a healthy team. Vick’s recent numbers certainly prove that he’s in a much better place. But it’s more than just the numbers. Yes, Vick has scored in double digits in five consecutive games. 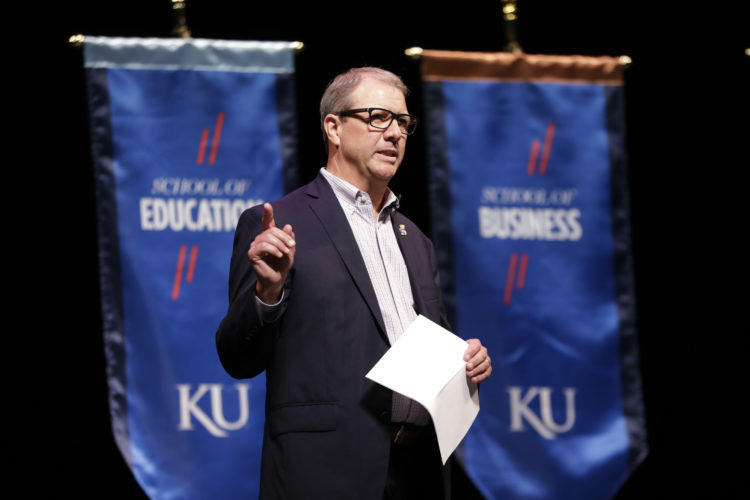 But he also has impacted KU’s bottom line in ways that go way beyond putting points on the board. He has yet to turn it over in the NCAA tournament, has tallied 20 rebounds and six steals in the past five games and also has avoided foul trouble, while playing a smarter and more focused brand of basketball from the opening tip to the final horn. Vick, who also has shown himself to be more comfortable and playful during open locker room sessions than ever before — his favorite move seems to be to cover his mouth and secretively shout “three minutes” left to the horde of media members crammed into the Kansas locker room — agreed with Young’s assessment and said his improved play was the result of a concentrated effort to change his mindset. 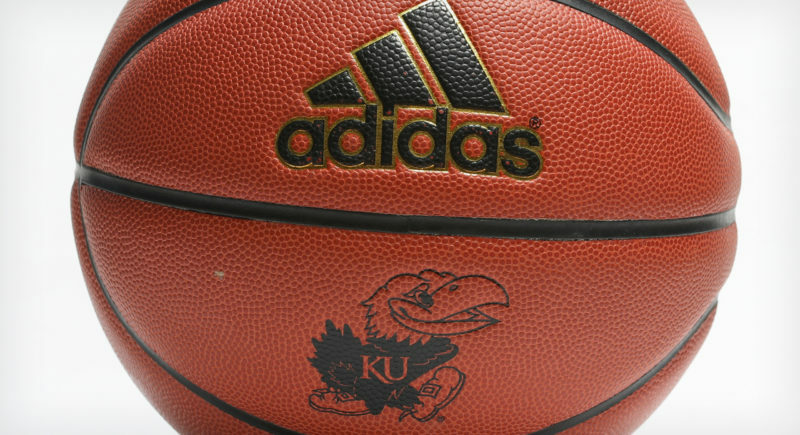 The origins of Vick’s perfectly timed turnaround actually date back to halftime the Jayhawks’ Big 12 tournament victory against Oklahoma State. It did. 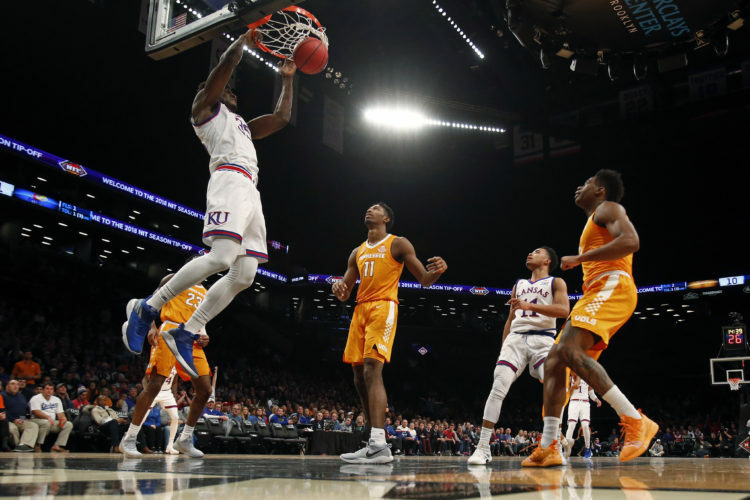 Not only did Vick’s game take a turn for the better — KU coach Bill Self likes to call this “an uptick” — but his confidence soared, as well.